Be bold and modern with this Wild Flower design from the Garden Collection. 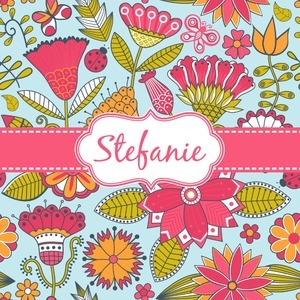 This pattern makes a statement with a floral design of pinks, greens and oranges. Little ladybugs and bright butterflies add to the pattern's whimsy. The entire design pops on a background of light blue.